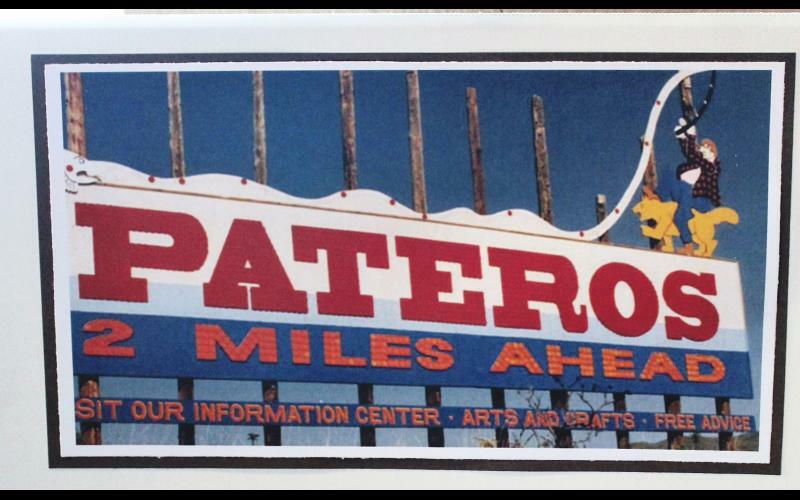 The city of Pateros once had prominant sign south of town along Hwy 97 welcoming visitors to the area. In 2014, the Carlton Complex Fire jumped Highway 97 and burned that sign to the ground. Major roads are often effective fire lines, but in this case the fire was so hot and intense that it had no problem crossing the highway. Many have seen the upsetting pictures of flames tearing right through the middle of the sign. 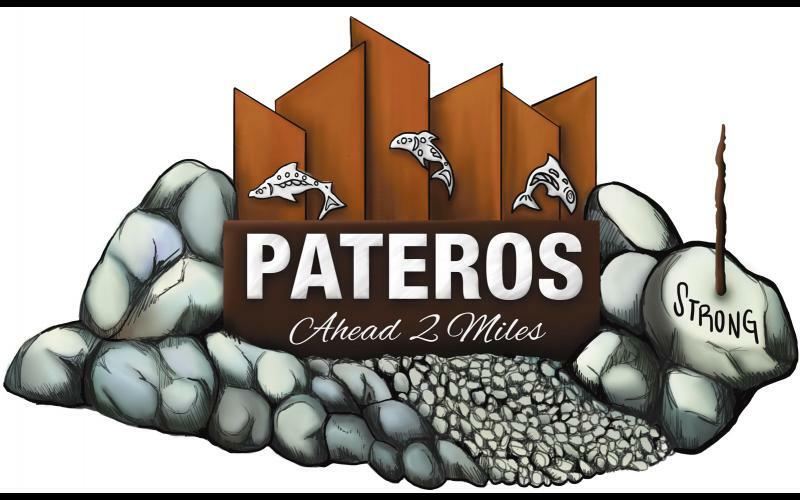 However, in true Pateros fashion, the Chamber of Commerce wasted no time in creating a design and raising funds to build a new sign. In the time between the old sign burning down and the new one being built, a banner with the slogan "Pateros Strong" stood their place as a reminder of the strength and determination of the city. Once completed, the new sign will feature burnt metal pieces as well as all that remains of the original sign, a burnt stick. The new sign will symbolize a community that has truly been shaped by fire - and has risen from the ashes even stronger than before. Information and photos sourced from http://www.qcherald.com/news/chamber-breaks-ground-site-new-pateros-sign, and http://www.krem.com/news/local/okanogan-county/pateros-community-raises-money-for-new-city-sign/272197135.